The Bible prophesies a very specific configuration of nations in the end times. These national alliances would be a sign of Jesus Christ’s soon return. The Roman Empire rises in the form of the European Union. Russia backs a united Muslim world. China becomes a mighty power. The strength of the West wanes. Israel rises from the ashes of history to become the focus of the world. What’s the end game? A one-world government. Learn more by watching how these nations are finally aligned in the end time wars. 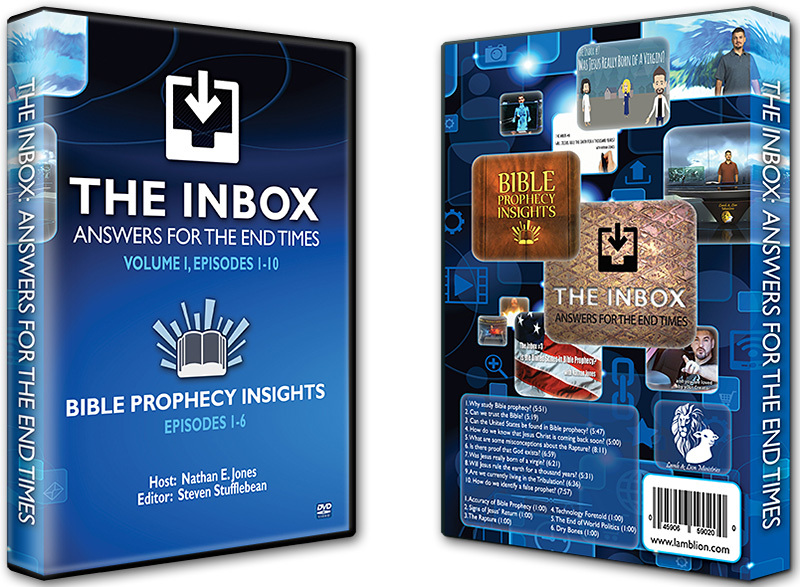 Welcome to the fifth “Bible Prophecy Insights” video, where you get an awesome insight into God’s prophetic word — in just one minute! These specially produced computer animated videos hosted by Nathan Jones of Lamb & Ministries are designed to be shared all over the Internet, drawing people to the outright amazing promises God has for us all.